DRAGONS RULE! At least in Courtney Pippin-Mathur's world. It's time to celebrate the news of her latest picture book. As author and illustrator, Courtney's idea of friendship between dragons and princesses arrives at its latest nexus. What if princesses and dragons were always friends? What if there was only a need for more flowers and fewer knights? Courtney's manuscript is amazing, with hilarious twists and turns and most of all, the celebration of friendship between those who would have been enemies. She worked so hard on this one and waited a long time and so this is an extra-special celebration! Jeffrey Salane at Little Simon has signed up author/illustrator Courtney Pippin-Mathur's next picture book, Dragons Rule! The book features a brave dragon who, with the help of two erstwhile princesses, foils the attempts of an heroic knight, all while celebrating unlikely friendship in their cliched world. Publication is scheduled for summer 2016; Tricia Lawrence at Erin Murphy Literary Agency represented the author for world rights. There's little that's better in this business than a book idea that makes everybody smack their heads and say, "Why didn't I think of that?" and "How has nobody done this before?" Such was the case with TWO TRUTHS AND A LIE, a proposal from Ammi-Joan Paquette and Laurie Ann Thompson. Have you ever played that ice-breaker game, where each person has to tell three "facts" about him or herself, but only two are true? This is the simplified premise of Joan and Laurie's project, but as with all great ideas, it is so much more. It's a compendium of amazing stories about wacky and wonderful things in nature and history, combined with made-up stories. Kids are challenged to determine which ones are the falsehoods, thus helping them develop some discernment about what they read, encouraging them to conduct their own research, and teaching them facts about the world we live in, all in one tidy, high-interest package. Given the response the pitch got, it should be no surprise that the proposal ended up going into a four-publisher auction! The winning participant was Jordan Brown of Walden Pond Press/Balzer + Bray, who offered on three books in a TWO TRUTHS AND A LIE series, the first of which is scheduled to release in winter 2017. I can't wait to see this one hit shelves--I think it's going to have tremendous bookstore AND school/library appeal! Congratulations, Joan and Laurie! It's a day for DOUBLE HAPPINESS! 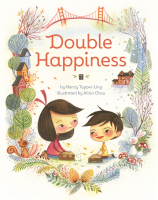 Look at Nancy Tupper Ling's gorgeous cover for her latest book, DOUBLE HAPPINESS. Alina Chau has done a miracle of a job with the illustrations. Don't you agree? Watch for this one in July. Congratulations, Nancy! 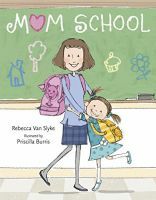 Happy book birthday to Rebecca Van Slyke and her adorable picture book, MOM SCHOOL! What would happen if moms went to school? Hmm... hop on over to EMU's Debuts to discuss, read an interview with Rebecca's agent (Joan), see pictures of EMUs and their mothers, and enter to win a signed copy of MOM SCHOOL. Congratulations, Rebecca! We've got more good news to share, folks! You all know, Luke Reynolds, right? Editor of the star-studded anthology BREAK THESE RULES (out now); novelist-author of the forthcoming novel, THE LOONEY EXPERIMENT (coming August 4th); non-fiction author of HOW TO SURVIVE MIDDLE SCHOOL (in 2016) – and much more? Well, today I'm here to celebrate yet another facet of Luke's incredible writing talent: a warm and comforting bedtime picture book, which is titled IF MY LOVE WERE A FIRE TRUCK: A FATHER'S LOVE SONG. This gorgeous text is everything that title implies, and I'm sure is going to soon be a bedtime staple for families far and wide. I'm delighted to say that IF MY LOVE WERE A FIRE TRUCK has been acquired by Frances Gilbert at Doubleday, and will be heading soon to be a bookshelf near you. Hooray, Luke! Brand New YA Novel Deal for Suzanne Nelson! But that's not all Suzanne has on her writing docket. A little over a year ago, we announced a brand new turn in her career, with the advent of SERENDIPITY'S FOOTPRINTS, a fantastic YA novel spanning a cast of characters from World War II to the present day, as loosely connected through a pair of handcrafted wedding shoes. This stunning tour-de-force is coming out this fall from Knopf. And today, I'm thrilled to announce a brand new book baby for Suzanne: her editor at Knopf, the illustrious Michelle Frey, has just purchased Suzanne's next YA novel. THE FREEDOM DRESS tells the story of a debutante in 1950s New Orleans whose whole life changes when her race is unexpected called into question, prompting her dig into her past and begin to uncover long-buried family secrets. This unforgettable story won't be on shelves until 2017, but I promise it will be entirely worth the wait. Hop on over to EMU's Debuts for Adam Shaughnessy's cover reveal of THE ENTIRELY TRUE STORY OF THE UNBELIEVABLE FIB! Illustrator Gilbert Ford has made this cover pop with the perfect colors and design. Lookin' good, Adam! Congratulations! Christine Hayes' debut novel, MOTHMAN'S CURSE has its first review and it's starred! Kirkus Reviews loves this "ectoplasmic extravaganza...tailor-made for reading beneath the bedcovers". 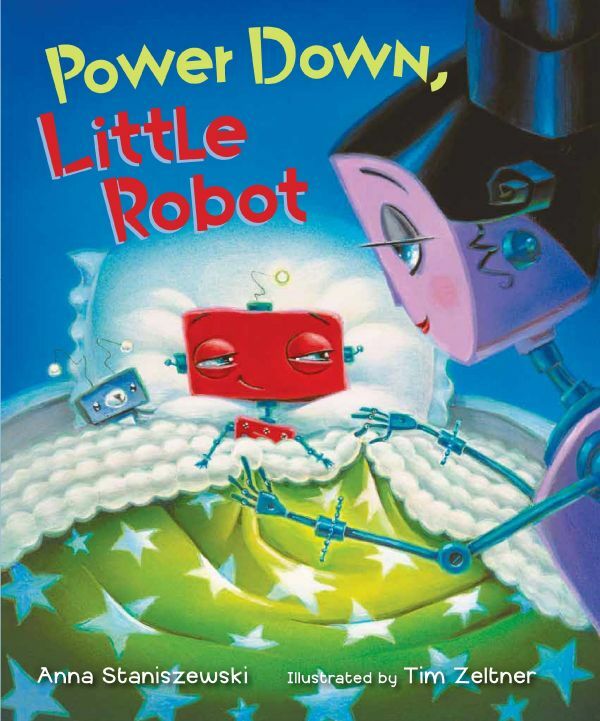 Middle-graders and adults alike will adore it! Look for its release in June. Congratulations, Christine! We couldn't be happier for you. This "joyful book" has another starred review! 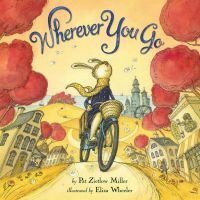 Publishers Weekly says Pat Zietlow Miller's WHEREVER YOU GO is a "lovely offering" that "appeal[s] both as an inspirational gift book and as a bedtime tale". Watch for its release next month. Congratulations, Pat! We have another starred review for Liz Garton Scanlon's THE GREAT GOOD SUMMER to report! Publishers Weekly says "readers will be rewarded with both genuine adventure and intense reflection as Ivy finds a balance between safe comfort and disquieting wonder". They also say "the real strength of this folksy novel, the first from picture-book author Scanlon, is its earnest, nonsaccharine treatment of what it means to have faith and to question it". We love that! Watch for the book's release in May. Congratulations, Liz! 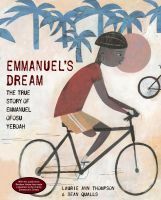 It's a starred review for Laurie Ann Thompson's EMMANUEL'S DREAM! School Library Journal says it's a "powerful and winning picture book', "a triumph" that "will resonate with readers". What more need be said? This book is an inspiration, just like Emmanuel Ofosu Yeboah himself. Pick up your copy today. Congratulations, Laurie! It's a great day for a book release! Please welcome to the world Diane C. Mullen's TAGGED. 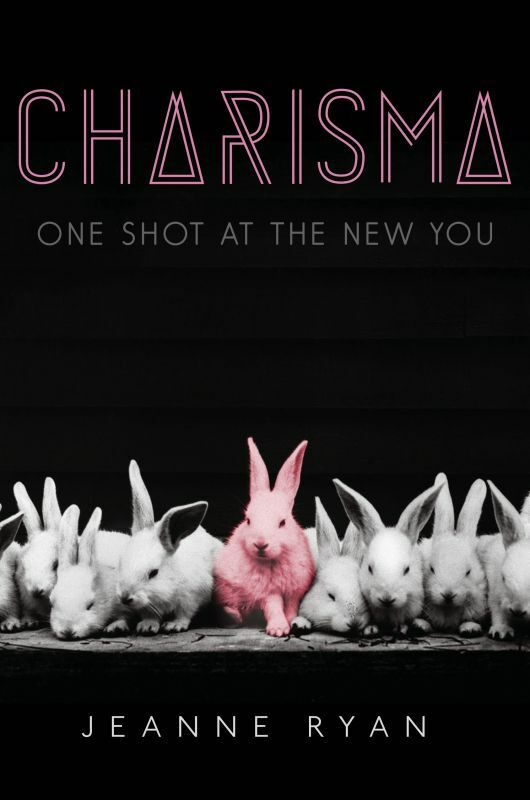 Kirkus Reviews calls this YA "a solid, interesting novel". And so it is! It's the story of a 14-year-old graffiti tagger who leaves his urban home to spend the summer in rural Michigan, where he discovers a whole new side of himself, and his art. Congratulations, Diane! We're so happy to see your books out on the shelves! It's a third starred review for Melanie Crowder's AUDACITY! The BCCB review has so many lovely things to say about this YA novel told in "graceful, affecting poetry". They praise Melanie's "outstanding job of limning Clara's inner struggles". Best of all, they say "this will make an excellent complement to units on women's rights and the labor movement, but it will also satisfy readers in search of a well-told tale of a fierce heroine". We agree! Congratulations, Melanie! It's a good Tuesday when we have THREE new books releasing in one shot! 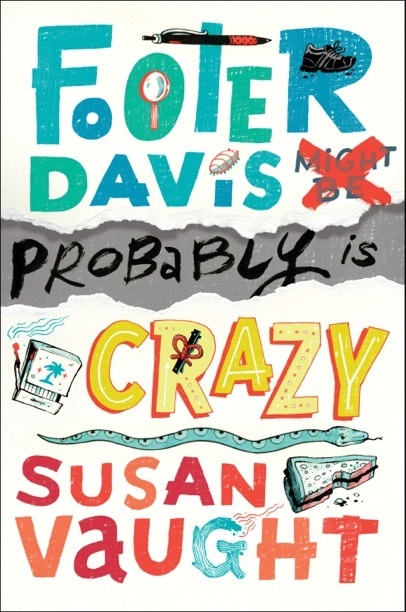 Please welcome into the world, Susan Vaught's FOOTER DAVIS PROBABLY IS CRAZY, Anna Staniszewski's POWER DOWN, LITTLE ROBOT, and Jeanne Ryan's CHARISMA! All three books have been much anticipated by readers and we're so happy they're out now. Pick up your copies today! Congratulations, ladies!